Goodbyes are hard, they say and the day I bid adieu to my long-term Apache RR 310 is here. 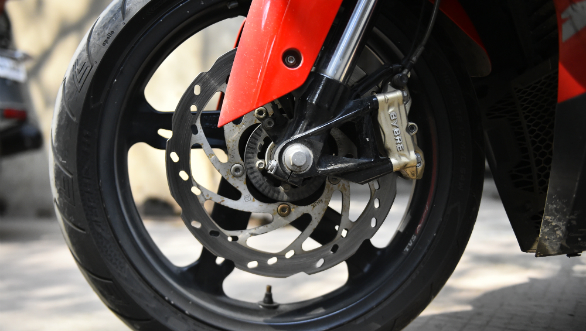 As I look back at the year spent with TVS' first sports bike, here are some of the things that make it difficult for me to say goodbye to the RR 310. First, it's the looks. I, for one, love the styling and kudos to TVS for coming up with a good looking machine. It actually looks big, in the flesh, almost like a 500-600cc motorcycle. It's good if you like the big bike feel, I certainly do. 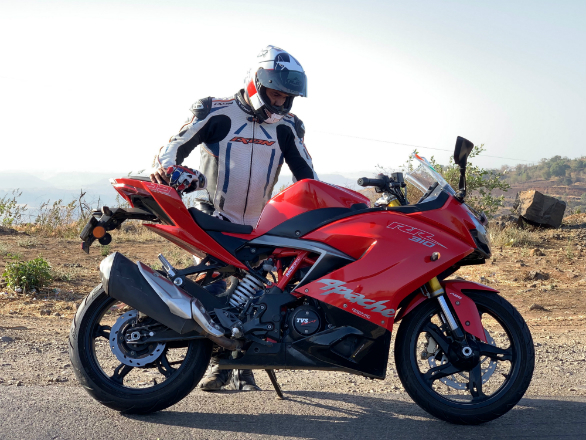 Elements such as the shark fin styled LED tail lamps, sharp fairing and exposed trellis frame enhance the looks of the bike and even after a year, the Apache manages to grab eyeballs. The second bit that impressed me is the chassis, an aspect that actually made me look past the flaws in the motorcycle. Its trellis frame has to be among the most communicative ones I've experienced and it is the reason why this Apache is such a stellar handler. Despite my busy schedule, I've never missed a chance to ride the bike to my favourite set of twisties, around Mumbai. Here is where I've revelled in the confidence-inspiring handling. Take my word for it, it can easily keep up with some of the bigger machines in the bends. I also have to attribute the bike's handling to the Apollo Alpha H1 tyres that we got for a test. These tyres are way better, in terms of grip and feedback, than the stock Michelin Pilot Streets and I'd strongly recommend owners to switch to these or the grippier Metzlers, once they are done with the Michelins. It's the apt upgrade for the RR 310. Besides weekend rides, the Apache has been a dependable office commute companion. 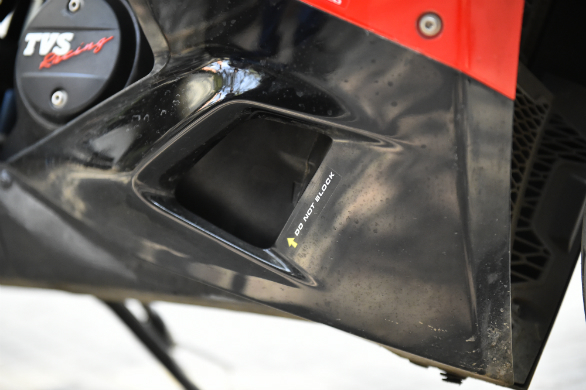 It doesn't heat up in traffic and that's mainly because of the clever ducts that expel engine heat downwards, away from the rider's legs. I also found the brakes to be consistent, with no fade, even after a hard, downhill charge. Fuel economy varied between 25-32kmpl, depending on whether I was wringing it or cruising at an easy pace. The only real issues are the engine vibes that have smoothened with time, but still persist. It's part of owning a performance-oriented, single-cylinder engine and to be honest, I don't mind it anymore. It's a happy compromise I made for the good things about the bike. The quality, for instance, is superb in many places, like the paint, instrument console or the switches. 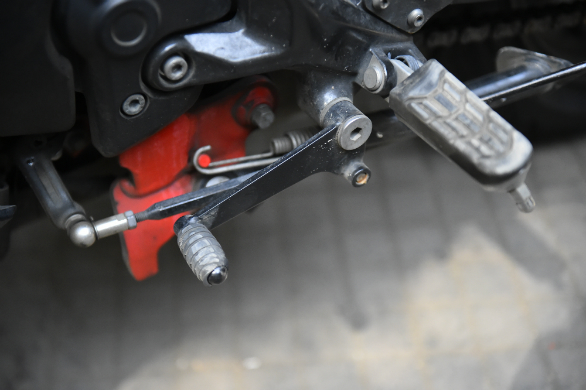 The only parts showing some minor wear are the bar ends and gearshifter rubber. As far as service costs are concerned, the big Apache is easy on the pocket. 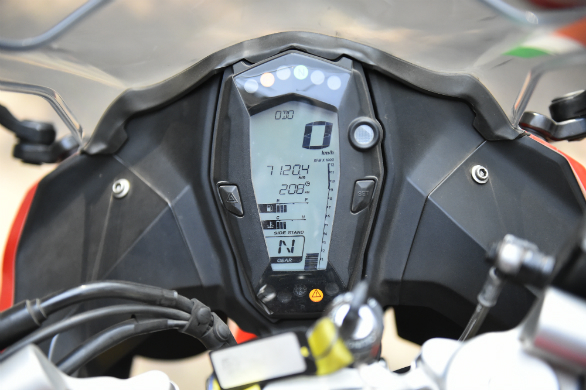 I've had two services done on the bike, the first service, at 1,000km, setting me back by Rs 1,411 while the second, at 5,000km costing a mere Rs 738. These costs are all-inclusive (oil+filter) which is amazing for a 300+cc motorcycle. In all, it's been a terrific ride on the big Apache. In my books, it's a well built, reliable motorcycle that's fast enough for the city as well as highways. 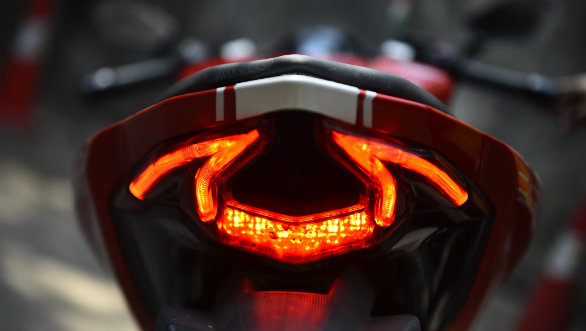 It happily cruises between 130-140kmph and I don't see the point of riding any faster, given our road conditions. And it's quite happy to play along in the twisties as well. It's an all-rounder which is why I am going to miss it.